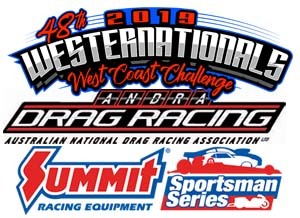 The Annual Westernationals is one of the biggest events in WA Drag Racing and the 48th running of this quarter mile spectacle will take place over the Labour Day Long Weekend in March. Saturday will see local and interstate teams battle it out in Qualifying with the all important Finals on Sunday. See National Championship Drag Racing take over the West as Competitors vie for this prestigious title. Gold Area: Reserved premium seats in stand in front of corporate suites near start line. Only gold area members can enter stand. Also includes acres to general admission and silver areas. Pit area access included. 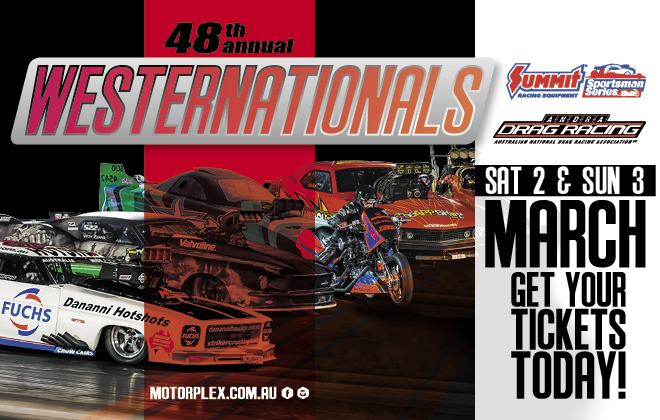 What a way to kick off the Labour Day Long Weekend with one of the best Drag Racing events in the country! With a full field of Doorslammers battling it out in the West Coast Doorslammer Challenge running head to head over the two days and then there is those Nitro Guzzling 2 wheeled machines also chasing a win in the West Coast Nitro Bike Challenge with WA’s Mark Drew heading the Harley charge while Jay Upton is steadily creeping up on his new combo and ready to take on all comers. These guys will be racing for the much sort after ANDRA Gold Christmas Tree Trophy in each division so the action is going to red hot from the outset!